Vetty Officer's Weblog: will the willow reply???? 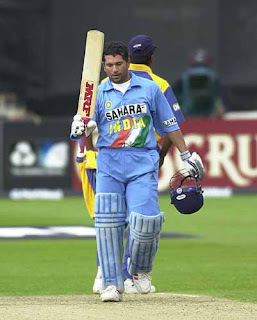 "Another problem that India have these days when they bat second on a good pitch, is that their most experienced batsman, who bats at such an influential position in the batting order, becomes almost redundant"
"The run-making for the top order hasn't been the story till now and it could make things so much easier for the lower order batsmen"
Too many stats and buzz in the media. Please hit a century and then you can take rest for next 10 matches. "Please hit a century and then you can take rest for next 10 matches." yeah.... brilliant idea! Tendulkar is only as good as his loyal devotees. A guy of his stature should have resigned the moment he stopped scoring as he used to score 7-8 years ago. New Canara Bank Ad - Really Cute!!! !